Puzhapolaval malayalam movie directed by Prasad G Edward featuring Gopika Suresh in lead roles has completed shooting. Upaneesh Unnikrishnan, Achuthan Chankoor, Sruthi and Hamin Hafis will also be seen in prominent roles. The movie is produced by Vincent Bose Mathew under the banner Bose Entertainers. 'Puzhapolaval' is scripted by Reji Kumar. 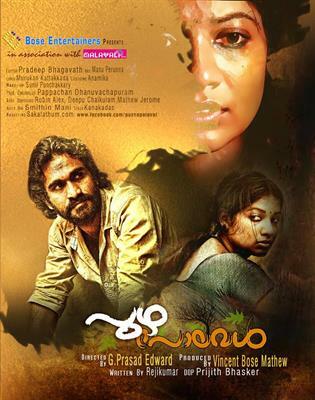 There had been a number of movies made in malayalam with subjects related to social relevance. Adding one more to it, yet another project is gearing up to reach theatres. Titled 'Puzha Polaval', the movie directed by debutante Prasad G Edward will be a visual treat which carries a socially relevant theme which has to be discussed. Annie is the only teacher who is committed to serve the school which is situated in the forest range colony occupied by the Adivasis. Traveling by bus, jeep and even by foot, Annie has to take a journey of 40 kilometres every day to reach the school from her home. More than a job, Annie finds teaching as a social work. During her journey to the school, she has to face many problems including the elephants and other wild animals. Later, a girl named Malli who disappears from the school brings more trouble to Annie. Finally Annie has to confront with a situation which forms the crux of the movie. Gopika Suresh, a young girl who hails from Thiruvanathapuram gives life to Annie teacher. She has given full dedication to her character and even amazed the crew for her exceptional performance in the climax scenes. New face Sruthuraj plays Shoba, a friend of Annie. The movie is being produced by Vincent Bose Mathew under the banner Bose Entertainers. Vincent who has shown his mettle as the organizer of many stage shows is trying his luck in production too. Upaneesh Unnikrishnan, Achuthan Chankoor, Hamin Hafis and Baby Yamima will also be seen in prominent roles. Prasad G Edward who has directed short films, albums and documentary is credited being associated with a number of stage programs organized by East Coast. Scripted by Reji Kumar, 'Puzha Polaval' was shot in Kottor Pothodu, Mannamkodu and Kanithadam, the living places of wild animals. The movie was completed with the heartfelt support rendered by the local residents and the forest department. Master Hamin Hafis, the child artist who has an experience lending his face for few movies and albums does play a vital character in 'Puzha Polaval'.